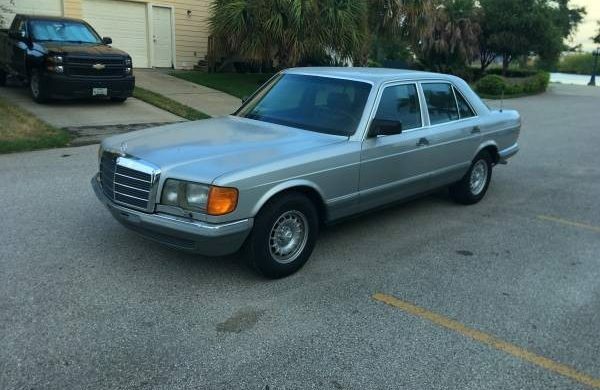 If you want a classic that you can drive every day, a classic Mercedes-Benz might just fit the bill! If properly maintained, the W126 platform has earned a reputation of being a long lasting and durable vehicle. Reader Stephen W has run out of space, so his 380SE needs to go. It’s covered 378k miles but has been well cared for and as a result looks to be in great condition inside and out. 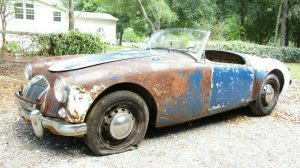 It’s a testament to the longevity of these cars and if the next owner keeps up on routine maintenance it will just keep on going. You can find more information about this Mercedes via the link below! What Makes It Special? No longer have room in my garage. For 90% of its life, it was owned by a local doctor and no expense was spared for maintenance. Body Condition: Paint on top (hood, roof, trunk) faded. Sides have some door dings… nothing major. Was told there was a small rust spot which was repaired between trunk lid and bottom of the rear window but I cannot find it. Mechanical Condition: Starts, drives, steers, & brakes well! We would recommend taking a closer look at the rust repair, just to make sure there are no signs of its return. And we would want to make sure the engine has already been converted to the double timing chain, as the original single chain can be problematic. Given the maintenance history, there’s a good chance it was already done, but it would be good to make sure before setting out on any long distance drives. Overall, this looks like it could be a great daily driver, it even has cold AC, so be sure to take a look at Stephen’s ad. 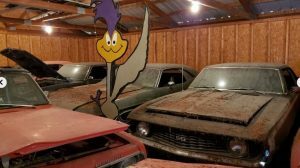 If you’ve run out of room and need to clear out a few classic or two, please consider advertising it here on Barn Finds! My daily driver is 2001 Mercedes ML55 AMG got 126K miles still in good health ! The euro bumps make the car look stunted and not as elegant. The US spec bumper complimented the lines. like the 123TD best as it has the ‘million mi’ / diesel motor. This 1 looks great (hada laugh where seller sez “with the awful radio” as it’s the 1 I’d seek). Thnx to “Staff” for listing here. 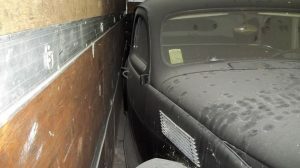 The “rust spot which was repaired between trunk lid and bottom of the rear window” is typical at this model when the rear window gasket starts to leak. So check the cross member below the back shelf for rust, if yes, the window leaks. 380 is nothing extraordinary as this engine is the follower from the 350 engine. The baroque wheels on this fit originally the to the predecessor model W116, the 126 had the, in Germany so called, gully covers in 15- and 16″. And 1982 was from factory without an catalytic converter. 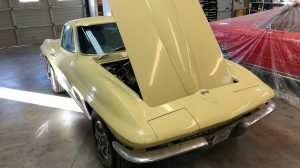 The European – original – headlamps give a brighter light then the u.s. used sealed beams and, from my opinion, also the original bumpers look better then the overlenght for the u.s. market.